Want to grow cannabis in cold climates? Well, we present you the top 5 cannabis strains, perfect for the cold and harsh climates. Check it out! Growing marijuana is extremely rewarding. Receiving those deliciously dank buds after the flowering period is over feels amazing. The entire process of sowing, nurturing and being responsible for this green being, is pure love. Ganja enthusiasts, living in the colder climates, also deserve to experience this love. Cannabis enjoys hot and luminous environments, although certain strains can still thrive in the colder northern outdoor climates. Strains need to fulfil three main prerequisites to be considered suitable for cold outdoor climates. First, the strain needs to be a resilient one. The stabilising and selection process of the strains, based on their resilience among other factors will increase the strains' chance of generating great buds in harsh environments. Second, the flowering time is imperative. The strain should finish flowering before the frost kicks in. When the ground becomes icy and snow begins to fall, it's game over. Make sure to plant during the hottest months. Third, the strain should be an autoflowering one. If you're growing the plants during the hottest months, the light hours won't shift significantly enough to set the photoperiod plants into flowering. Autoflowering varieties, don't care about the light duration, as long as they receive a minimum of 10 hours of light per day. Of course, give them as much light as possible. So, here we present the top 5 strains, which will generate high-class quality nugs, regardless of the cold climates. Sweet Skunk Automatic is the result of breeding two very popular strains together; Critical Domina and Big Devil #2. 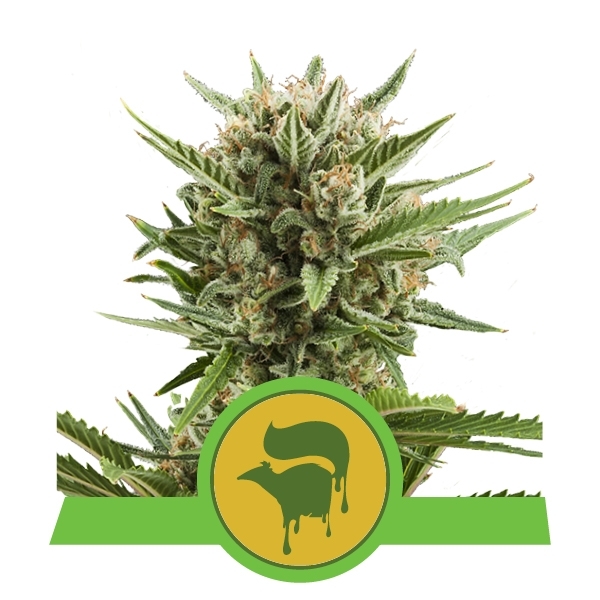 Their properties have combined beautifully to ensure that Sweet Skunk Automatic is a reliable plant of high stability. This hybrid incorporates the best qualities of indica, sativa and ruderalis. It will certainly grow quickly, with harvests often seen within 8 weeks. The resinous buds you harvest are very sticky with faint traces of fruity smells. The delightful flavours complement the smooth high of Sweet Skunk Automatic. Not bad for such a compact package, growing only as tall as 60-100cm. Grow this discretely and enjoy the bountiful yields, sometimes reaching as high as 110g per plant. This cultivar is an autoflowering variety. Actually, it’s one of the first autoflowering varieties ever. Being comprised of Northern Lights, William’s Wonder, and ruderalis genetics, Quick One mimics the first dank autoflowering variety created by Joint Doctor. It takes her about 8-9 weeks to finish, from seed to harvest. Also, Quick One requires minimum maintenance, making her perfect for cold outdoor environments. 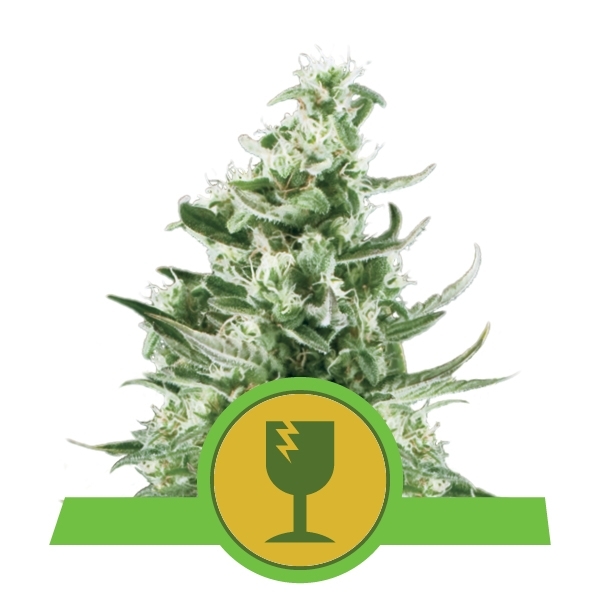 With her natural citrus aromas and mellow indica dominance, Quick One is a champion. It’s critical to understand the dank that Royal Critical Automatic emanates. With its delicious flavours and strong aromas, this cultivar develops perfect indica highs. If you’re into chilling on the couch, relaxing outdoors with your friends, Royal Critical Automatic will enhance the experience. This strain is ready for harvest after 8-9 weeks, from seed to harvest. It’s nothing! Royal Critical Automatic is an easy going strain, perfect for beginners. Together with its heavy yields, incredible growth resilience, and potent nugs, Royal Critical Automatic is pure royalty! Unless you’ve been living in a cave your entire life, you’re definitely aware of the legendary White Widow. This strain has cemented its champion status in Amsterdam during 1995, by winning the HT Cannabis Cup. 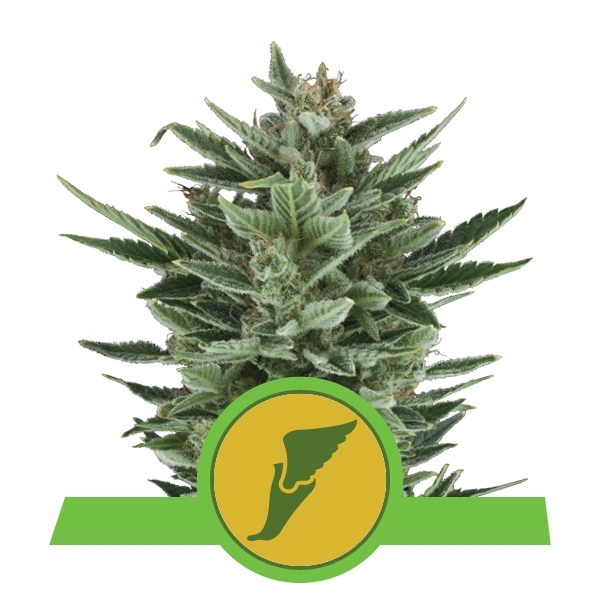 Royal Queen Seeds decided to maintain the Amsterdam-based genetics of White Widow. By mixing the classic White Widow with ruderalis genetics, an autoflowering variety came to light. 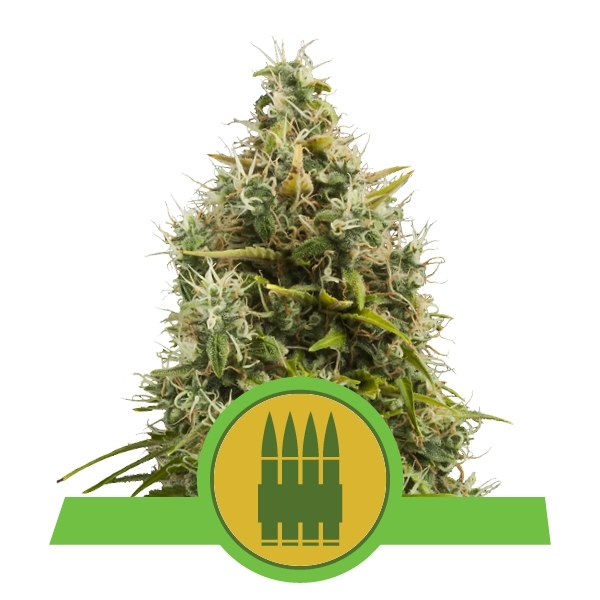 With her strong base, it takes White Widow Automatic about 10-12 weeks to finish, from seed to harvest. Inducing amazing highs is a part of White Widow Automatic’s everyday routine. Some can even yield up to 240g/plant! Ladies and gentlemen, vegetarians and ganjatarians, last but definitely not least, we present the extraordinary Royal AK Automatic. This indica dominant strain provides perfectly mellow highs, together with uplifting sensations. If you’re doing your thing, Royal AK Automatic will help you do your thing like a boss. With a short life cycle of 9-10 weeks, this strain is perfect for cold climates. It’s in fact quite popular in east European countries. The potency is fantastic, with 15% THC, you’ll feel, well, like a boss! If you’re living in colder climates, there are no excuses not to grow the dankest of the dank. Just plant some or all of the aforementioned autoflowering varieties during the hottest 2 months of the year, and you’ll be set. Just remember to groom and nurture your plants. Grow some badass ganja and stay cool!